Restylane is a dermal filler that was formulated and designed to smooth fine lines and wrinkles. It is injected to restore volume to facial tissue. By restoring fullness, Restylane can help to greatly reduce the appearance of lines, wrinkles, and folds. Restylane is made from hyaluronic acid which occurs naturally in the body. Hyaluronic acid provides fullness to the skin. When Restylane is injected into the skin, the hyaluronic acid helps temporarily restore the skin's natural volume. After injection the Restylane breaks down slowly, and the effects can be seen for up to six months. 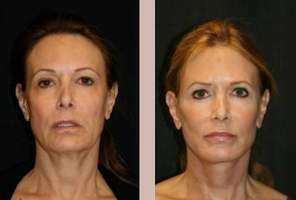 How is the Restylane procedure performed? 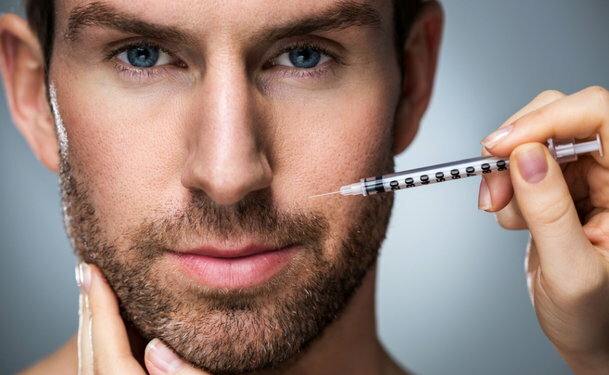 Restylane is injected using a syringe in your doctor's office. Typically patients first receive a local anesthetic to dull the potential pain or discomfort of the Restylane injection. Your doctor will determine the correct amount to use and inject the Restylane under the skin. The whole procedure generally takes less than 30 minutes and patients are able to leave shortly thereafter. Patients can resume normal activities immediately after receiving Restylane injections, and side effects of Restylane are typically mild. Some swelling may occur and typically will be present for two to three days. A limited number of people may also experience nausea, headaches, pain or redness at the sites of injection. Severe side effects are rare and should reported to a healthcare professional immediately. The full results of Restylane can typically seen within about a week. Most people report that Restylane works to reduce the appearance of lines and wrinkles by up to eighty percent. The results are not permanent, and professionals recommend patients receive treatments every six weeks. What areas of the body does Restylane treat? Restylane is most often used to treat facial wrinkles and lines. It is frequently used to treat forehead wrinkles, crow's feet, smile lines, and hollows under the eyes. What are the advantages of Restylane over other similar treatments? Restylane has been approved by the United States Food and Drug Administration, more commonly referred to as the FDA, for cosmetic injection into the skin. It is also the most studied product of its type in the world. It has been used and tested for over ten years. There have been several published clinical studies proving the safety of Restylane. In addition, Restylane contains no animal proteins which helps to reduce the risk of allergic reactions. Nearly anyone who suffers from moderate to severe wrinkles and folds can be a candidate for Restylane. A qualified doctor can determine whether Restylane is appropriate for you. What are the risks of Restylane? There are very few risks associated with Restylane. Typically people only experience mild side effects such as pain, swelling or bruising at the injection sites, headache or nausea due to Restylane. Some people have also experienced muscle weakness which typically resolves itself within days but sometimes can last months. Is Restylane approved for use in the United States? The U.S. Food and Drug Administration approved Restylane for use as a cosmetic injection in December of 2003. On average Restylane costs anywhere from $350 to $800 per syringe. The exact cost for an entire treatment will depend on the severity of the lines, wrinkles, and folds being treated. It will also depend on the number of problem areas being treated during an appointment. Are Restylane injections covered by health insurance? In some cases patients receive Restylane injections out of medical necessity. In these cases some insurance providers will cover part or all of the cost. If the injections are being administered for purely cosmetic reasons, typically insurance will not cover the cost. Some doctors may be willing to set up monthly payment arrangements if you cannot afford to pay in full for the injections out of pocket.